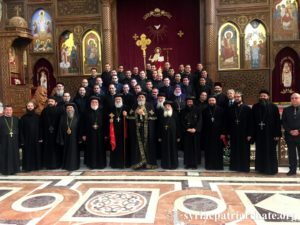 After their meeting in Cairo, Their Holinesses Patriarch Mor Ignatius Aphrem II, Patriarch of Antioch and All the East, and Supreme Head of the Universal Syriac Orthodox Church, and Pope Tawadros II, Pope of Alexandria and Patriarch of the See of St. Mark for the Coptic Orthodox Church, visited St. Mark Cathedral in Anba Rouwais, Cairo – Egypt. 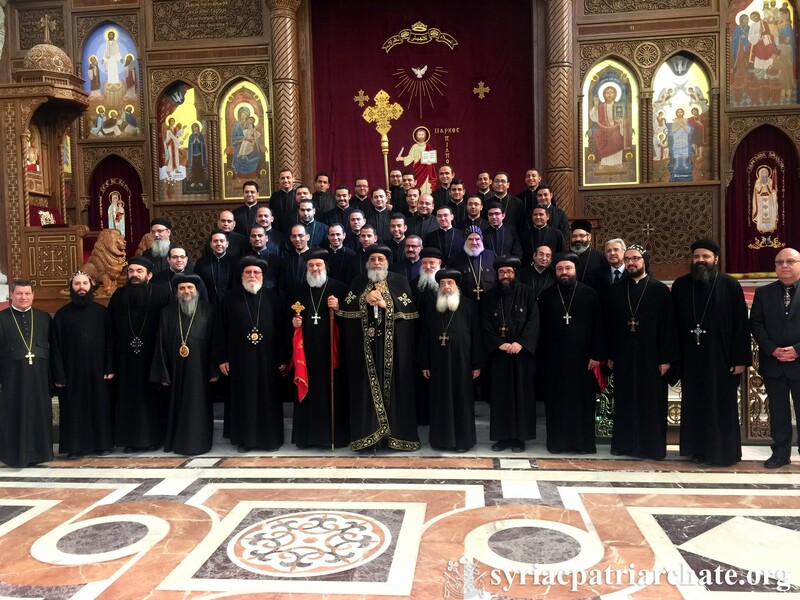 Their Holinesses, along with the two Church delegations, entered the Cathedral in a procession, while the Seminarians chanted. In the Cathdedral, their Holinesses prayed for the Holy Church, and her faithful children, and for peace to reign all over the world.